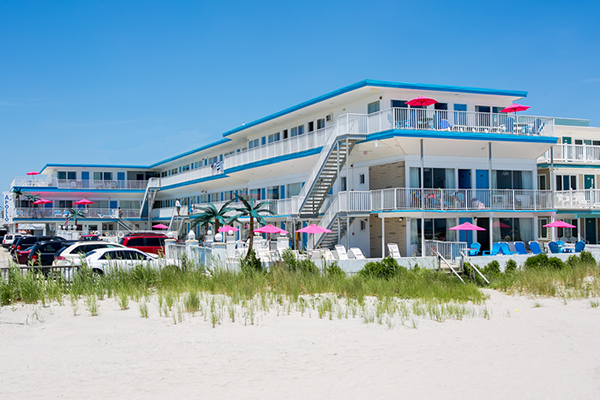 The APOLLO is an oceanfront family resort located directly on the beach in quiet Wildwood Crest. Still owner-managed by its original owner, the APOLLO features heated pool, gas barbecues, private entrance to the beach, and sunny southern exposure. The Apollo Motel's central location gives its guests easy access to the beach, boardwalk amusements, fine restaurants, golfing, bike riding, fishing and much more!